Zareen Khan is the popular Bollywood diva is best known for her glamorous roles and dance. Nowadays, the actress appears in thriller and horror movies. Read the article about Zareen Khan Upcoming Movies with Release Date. Zareen Khan or Zarine Khan was born on 14 May 1987 in Mumbai and completed her schooling from Rizvi College of Science. In 2009, the lucky girl got first break in Superstar Salman Khan’s period war drama Veer where she played a princess and received instant fame while the film failed at Box office. Zarine Khan is a trained dancer, wanted to become a doctor but joined acting after schooling. 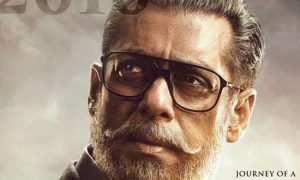 In 2008, at Subhash Ghai’s film school Whistling Woods Salman Khan was shooting for Yuvraj and his eyes went on beautiful Zareen and decided to cast her in Veer. The audience loved her in Veer (2010) and she gained instant fame because people were considering her the resemble of top lead actress Katrina Kaif. In 2011, her Special appearance in song Character Dheela from Ready gave her more popularity. Now the actress appears in Hindi, Tamil-Telugu, Punjabi movies and songs. As a lead female, Veer (2010), Housefull 2 (2012), Punjabi film Jatt James Bond (2014), Hate Story 3 (2015), Aksar 2 (2017), 1921 (2018) are her feature films. Zareen Khan will be seen with Punjabi Star Gippy Grewal in his next Punjabi film. 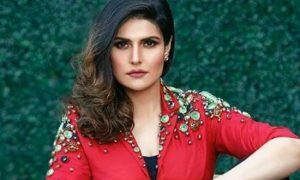 Zareen Khan is learning Haryanvi for her next film is calling One Day where she will play a cop while veteran actor Anupam Kher will play an important role in the film. The finest actor Irrfan Khan and Zareen Khan to share the screen in a comedy-drama directed by Sai Kabir. Film’s demand was a Pathani girl so Zareen replaced Kangana Ranaut in this project. Here you have regularly updated Zareen Khan Upcoming Movies with Release Date 2019 & 20.